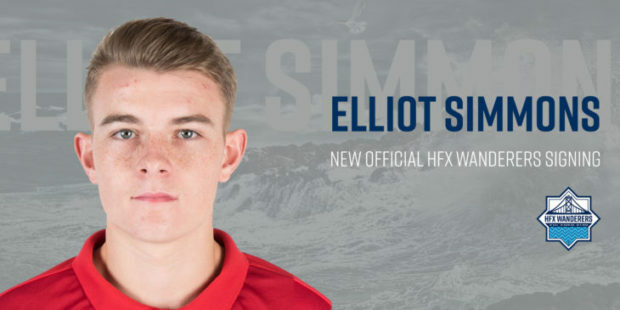 Of all the things I read about Elliot Simmons after he was announced as HFX Wanderers’ latest signing last week, one piece of information stood out the most: he went to school, and was currently living in Northamptonshire, England. For the uninformed, Northamptonshire is a small, working-class county an hour north of London. Populated by clusters of tiny villages, rolling hills and, if we’re being completely honest, a fair amount of rather unremarkable towns, it is largely unknown outside of England. It is also, by some small coincidence, my hometown, and where I spent the first 25 years of my life. Geographical bias aside, I was delighted that Elliot agreed to do an interview with us because he’s exactly the kind of player I enjoy watching: a holding midfielder cut from the same cloth as Sergio Busquets and Michael Carrick, armed with the skill set to control the tempo of a game, pass between the lines, and orchestrate the transition between defence and attack. He is also, I believe, the finest U23 talent that has been signed in the Canadian Premier League to date. 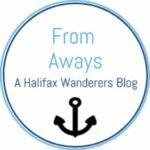 In the following wide-ranging interview, Elliot discusses how the Wanderers move came about, his career up to this point, and his hopes for the future. Can you start by telling us a little bit about how the move came about? I was approached by a few football people and asked if I would be interested in the CPL. I had been keeping a close eye on the league’s announcements and was already very interested. At this time, I already had firm offers on the table to remain in Europe but had not signed anything, so I agreed to speak to a couple of CPL managers. I really liked both managers and what they had to say but ultimately, I felt Stephen’s knowledge, track record, and experience were deciding factors football wise and coming to live in Halifax was really appealing and a no brainer for me. I’ve just been reading a few things about your career up to this point. You must be one of the most travelled 20-year-olds around. England, Canada, Spain, Sweden and Finland – that’s a lot of distance to travel to play football. Do you think moving to Canada from England at a young age made you good at adapting to new countries? Yes, maybe, but as a family we have always travelled extensively and, yes, emigrating to Canada at a young age certainly broadened my outlook on life but I think I have always been able to naturally adapt to new environments quite quickly. My dad is ex-Navy so I think it runs in my genes! MK Dons have a growing reputation for producing talented young players. How did you find your time there? I came there straight from Ottawa Fury and adapted quite quickly as Fury were also very possession and technical based with their philosophy. It was a great period to be at the academy as Dan Micciche, the head of coaching, was implementing a really radical philosophy which was so different to any other club at that time. Everything was about being creative, intelligent and being able to play under pressure in tight areas. We were encouraged to find our own solutions under pressure and were not over coached or given too many instructions. We played 11v11 on reduced sized pitches and always had to play our way out of those situations. We were not allowed to kick the ball out or go long under pressure, you had move and keep possession. We were a League One academy but constantly had the FA/England coaches watching our sessions. So much so that eventually they recruited Micciche as England U16 head coach. Our 1996-98 year-group was also packed with great players such as Dele Alli, Sheyi Ojo, Brendan Galloway, Kevin Danso etc, and we all trained with each other regularly so were constantly challenged. Also, at this time we always got invited to play the big clubs such as Arsenal, Liverpool, Chelsea, Spurs etc, so playing some of the strongest teams in the country. At 16 I was only 5 foot 3. Dan Micciche left for England and the Academy Director at the time thought I was too small to play U18 so I left. It was a major disappointment as at 13/14 I was only one of a couple of players regularly training and playing in the 1/2 age group up. It also taught me a valuable lesson that you don’t give up if you want something badly. I knew I just had to be patient whilst I grew physically. I’m interested in the time you spent with Malaga U19s. After previously playing in England and Canada, did you notice a big jump in technical ability when you arrived in Spain? It was very similar to MK Dons but every single club from La Liga to the Tercera Division had a slick possession-based philosophy and every player was comfortable and patient in possession. In England there were so many contrasting styles and a lack of patience in possession. I see it almost as a finishing school for me as I was able to play against some top U19 sides such as Valencia, Atletico Madrid, and Villarreal. It also gave me the confidence that I could kick on, as I was really starting to shoot up physically at this point. Next you found yourself in Scandinavia. How easy did you find it to adapt culturally? Moving to Sweden was tough initially as I spent the first four weeks moving from house to house until they found me some permanent accommodation. Dalkurd U19 were also a slick possession-based side with some quality players and everyone spoke great English. I was welcomed to the community and to be honest I really enjoyed it. It was only a two-hour flight back to the UK so I had regular visits from my family. I also played with the U21s, which was effectively made up of first team players who had not played that week in the league, so again excellent quality. Finland was awesome, even nicer than Sweden. I loved living in Mikkeli, it is a beautiful town with friendly people. It reminded me so much of Canada as well. Mikkelin Palloilijat are a historic club and it was a real jump from being an U21 to suddenly being the youngest week in week out. There were lots of challenges and learning points in my 10 months there. We trained everyday almost for four months in pre-season, then six times a week all season. We absolutely lived and breathed football 24/7. The standard was surprisingly good as well with lots of journeyman players from Brazil, Nigeria, and good local talent. Our goalkeeper Sammy Ndjock played in the World Cup with Cameroon. I got really fit and physically strong during this period and loved being independent. I did not go home to England for 10 months and have made some life-long friends along the way. I could have stayed permanently, and it would have been an easy option, but I wanted to keep on challenging myself and keep moving up the pyramid. You’ve represented Canada at U20 level. Is making it to the national team an eventual goal of yours? Yes, I’ve been invited twice to week long camps at age 17 and 18. However the national team coaches have not seen me now for over two years. Ironically, this is a two year period during which I have grown significantly physically, turned professional in Sweden and developed the most in my whole career to date, so I definitely have a point to prove upon my return to Canada and will be very focused on playing well for Halifax first and foremost. Hopefully if I play well enough for HFX a call up will be achievable. I’d like to talk a bit about your role on the pitch. What kind of player would you describe yourself as? I’m naturally a deep-lying pivot style midfielder but I can play more advanced as well. I think I am hardworking, unselfish and good at keeping possession and linking defence to attack quickly and efficiently. I can pass well with both feet and weigh in with the odd goal from distance or from dead ball situations, too. What attributes do you think a holding midfielder needs to have? Good decision making under pressure, strong technical ability, stamina, two good feet, a good passing range, able to play in tight areas, spatial awareness, and a good reading of the game. Also, a willingness to put in the hard graft defensively. I watched few highlight videos of you last night, as well some match footage from your time with Mikkelin Palloilijat, and you strike me as a similar type of player to Sergio Busquets and Michael Carrick. Are there any players you consciously try to model you game on? Yes, ironically, I have always used Sergio Busquets as my main role model. He is a type of player who is prepared to do the unselfish work, break the lines with intelligent passing to take players out, and make the team tick smoothly and retain possession. Has Stephen Hart spoken to you about what kind of role he’d like to see you playing in the team? Nothing specific yet but he obviously signed me knowing I am naturally a deeper lying midfielder that drops in to link defence to attack. And finally, what are you goals for the season ahead? I’d like to hit the ground running from day one and establish myself in the team. Hopefully continue to develop and play a pivotal role in the season ahead. I want to help HFX push for the 2019 league championship.